The PIC24FJ1024GB610 Plug-in Module is designed to demonstrate the capabilities of the PIC24FJ1024GB610 family using the Explorer 16 Demonstration Boards. 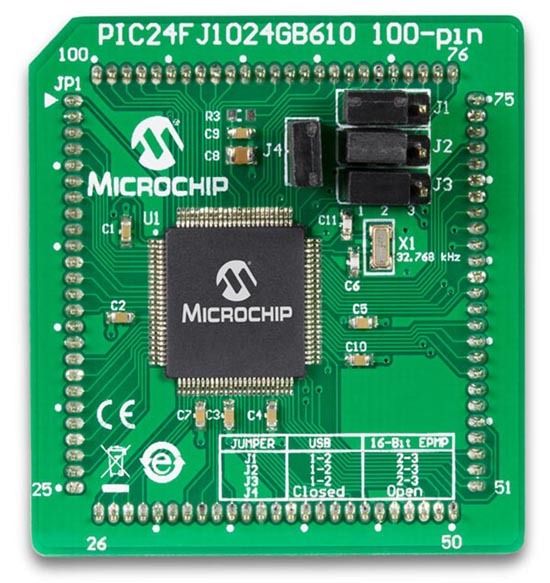 Most of the pins from the device are mapped directly to the PIM connector (100-Pin ICE). The exceptions are those pins that are remapped to provide remappable functionality to the pins in the PICtail Plus socket.